Considering either borrowing or refinancing your home? Maybe your considering selling your old home and buying a different home. Understanding how your lender gets paid prior to getting your loan is important. We explain not only how your lender gets paid, but how to get the best interest rate for your loan. Most loan companies make their money by marketing or brokering loans. Once a loan has been made by the lender, the loans are sold to what is known as the secondary market – other larger banks or Wall Street institutions. These banks and institutions then sell your loan to other banks and institutions. Over the next two to three months, it’s not uncommon to see a loan sold 3 or 4 times to different institutions. The loan brokers who originally create the loan for you, will typically have a selection of products to choose from that they know they can sell easily on the secondary market. However, they will usually keep it simple and only tell you about one product. These brokers, also called loan originators, charge an origination fee to the borrower which is how they get paid. These fees are typically referred to as as “front end points”. A point is just a financial term that means a percentage – one point equals one percent and is typically a percentage of the total loan amount. Front end simply means you will pay the fee directly to them. The secondary market is very competitive and has their own loan packages they want your loan broker to sell. To encourage your loan broker to do this, these lenders may offer your loan broker money to do this. These secondary market lenders offer what is known as a “back end fee” to encourage your lender to sell their loan. They may offer to pay your broker a point for him to sell you their loan instead of another loan. For your broker, a selling a few of these loans each month can be a big payday. You might ask, “If I don’t have to pay the ‘back end fee’, why does it matter”? That’s a great question. Let’s say you want to borrow $100,000 and your lender tells you that the interest rate for a loan from Bank A is 4.5% and a one point origination fee. This means that you will pay $4,500 a year in interest on this loan. In order for the your lender to be paid, they are going to charge you a one time origination fee of one point or $1,000 above and beyond your loan. You will pay $4,500 in interest and $1,000 in points the first year of your loan. However, you will not have to pay any more origination fees, unless you ask them to add the origination costs into your loan. But, let’s imagine your broker needs to make more money this month because he needs a bigger, better bass boat. He knows that Bank B will pay him an additional 1% commission (back end fee) if he sells Bank B’s loan to you. However Bank B’s loan’s interest rate is 4.75%, or $4,750 in interest a year. Over the course of ten years this adds up to $2,500. It’s even more significant when your home loan is several hundred thousand dollars. When this is happening, it’s difficult to tell which lender is giving you the best deal. Don’t just go with the lender your real estate agent sends you to. Instead, shop around. Ask prospective lenders what their “par rate” is. 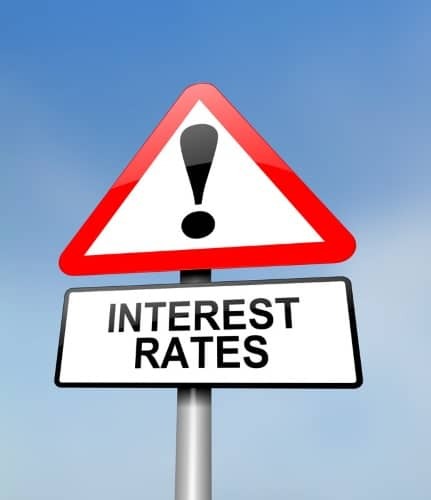 This is the interest rate before any back end fees get added to your final interest rate. Consider asking, “If I guarantee that you will get paid your fee, will show me all of the loans you have available and let me choose the one I want?”. Also be sure to ask what the back end points are for each loan they present you with. This way, you can choose which loan package works best for you. Even if it’s not one that pays your broker the most. Keep in mind, you may have to make up the difference to cover the cost of what the broker needed to be paid. Shopping for a loan and knowing how your lender will get paid could save you a lot of money. Take the time to do your homework and ask lots of questions before making your decision.